The Boyue Likebook Mimas and Onyx Boox Note are two of the latest generation 10.3 inch digital note taking e-readers that have a WACOM layer and a capacitive touchscreen display. They both come with a different type of stylus to make notes, edit PDF files and make annotations. They also double as ebook readers, with built-in software to read all of the most popular formats. Bluetooth is an added draw, so a slew of accessories can be connected, from wireless headphones for audiobooks to keyboards. The Boyue Likebook Mimas features a 10.3 inch capacitive touchscreen display with a resolution of 1872×1404 and 227 ppi. It comes with a WACOM enabled screen for stylus interactions, but it also has a capacitive touchscreen for interactions and gestures. This is useful for swiping pages of an ebook or playing casual games. Underneath the hood is a 1.5GHZ Rockchip RK3368 Octa-core , 2GB of RAM and 16GB of internal storage. It has an SD support, which is capable of reading cards up to 128GB. It will be powered by a giant 4700 mAh battery and have USB-C for charging and transferring of data. The Mimas is the first 10.3 inch e-reader that has a front-lit display and a color temperature system. When you are reading in lower light conditions the screen with just white LEDS work very well, and there is little light bleeding from around the edges. The candlelight effect looks better on the Mimas than what Kobo is doing with their Comfortlight system, somehow the Boyue screen is a little more refined with the various degrees of orange. The Onyx Boox Note does not have any type of lighting system. Underneath the hood is a 1.6GHZ quad core processor, 2GB of RAM, dual speakers, mic, Bluetooth and USB C. I have never seen an e-reader before with a quad core processor and this is a major selling point. The entire software experience is utterly amazing, apps instantly load and drawing has minimal latency. I was certainly not disappointed with any delays, which was surprising. There are two speakers on the back of the unit. Mimas wins hands down. but a new 10.3 model by onyx is coming on the market in April. 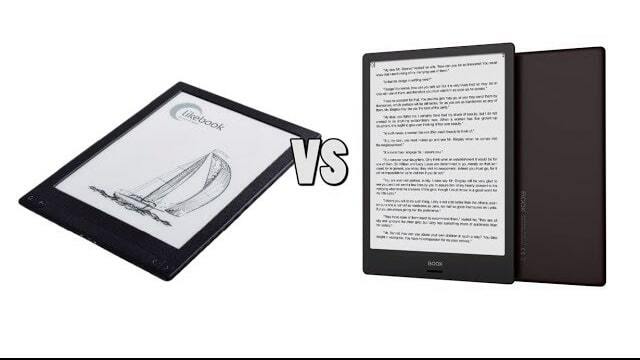 Mimas lost even old version of Onyx Note, read my comment on youtube about those ebooks comparison.